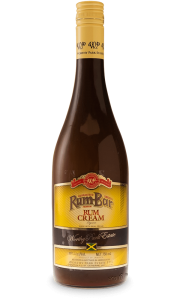 Rum-Bar Rum is a White Overproof blend of three 100% pot-still un-aged rums. It provides a high level of quality and flavor due to distillation in copper pot stills versus continuous column still. This is a good tasting rum – perfect for cocktails. Both the styling and packing is traditional. The strength of White Overproof is 63% alc. Overproof, the term for high alcohol level, named so to categorize this rum. In Jamaica Overproof White rum accounts for around 90% of all rum sales. If you one day go to Jamaica, and 63% isn’t strong enough for you, there are several “rum shacks” that will be happy to sell you something stronger from under the counter and albeit not so legal. The nose on Rum-Bar White Overproof is very powerful, due to the 100% Pot Still feature. It is full on Jamaican funk and almost like freshly cut sugar cane. It has a fragrance of sweet alcohol mixed with freshly cut grass. The taste is fruity and powerful. White Overproof is perfect in coctails with its 63% alc. 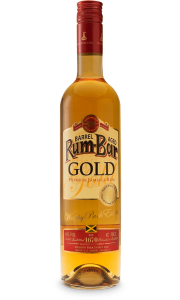 With the rum being so intense and full of flavour it pairs very well with a variety of fruit juices.